Shortlisted for The Portico Prize. My writing career has been, frankly, all over the place. 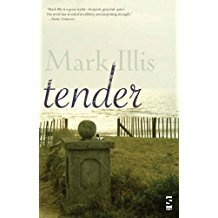 I started off writing literary fiction for adults and thought that was all I’d ever do. Then I fell into TV and wrote for EastEnders for a while, and wrote for Emmerdale for a decade. After that I wrote a prize-winning screenplay, a sort of romantic drama with zombies. (And I had a cameo as a zombie in the finished film.) There are also short stories and radio plays dotted here and there over the years. And now I’m writing for teenagers, and I’m loving it. The career might have zig-zagged a bit, but I’ve made a living from writing for 25 years. I love running creative writing workshops. In my workshops, we’ll discuss, for instance, Character. We’ll use a watch or a pair of trainers or a shopping list as a stimulus, and in no time students will be developing characters alone or in groups, they’ll read stuff out, they’ll have fun and they’ll learn a lot. I’ve been running workshops for over 25 years at Arvon writing centres, in universities and schools, in prisons and in Broadmoor Secure Hospital. I live in Hebden Bridge, which is between Manchester and Leeds. I’ll travel anywhere I can get to and from by train or car in a day. Besides that, if it’s London, I can usually stay over with family or friends. Or I’m up for staying over in a B&B. And I’m up for travelling abroad. Basically, get in touch and we can work something out! My charges are based on Society of Authors recommendations. Plus expenses, of course. 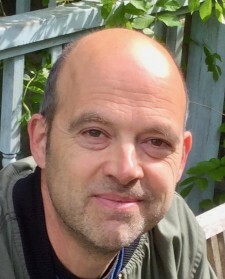 From the outset, Mark conveyed his passion for the creative writing process and demonstrated his incredible knowledge and experience at doing so. The range of activities that he provided for our students was immense and their love of writing as well as their creative writing abilities blossomed during this week. He is certainly one of the most motivational writers that I have ever come across in my 20 years of full time English teaching. Dom Roy, Head of A Level English at Watford Grammar School for Boys. I was really impressed with Mark's planning of the workshops - they were always well structured with the stimulus material being really interesting. Mark's relationship with the students was always professional. He was able to inspire the students to produce some fantastic writing - and spent a lot of time discussing the writing process with the students - providing them with clear constructive feedback. Working with young people is always a bit of a challenge - but Mark was able to enthuse the students he worked with - who truly appreciated the end result. Mark worked with students from my school, delivering exciting and engaging workshops to stimulate their creative writing. The students thoroughly enjoyed the sessions, particularly commenting on the use of a watch as a starting point for their writing. We loved working with Mark and hope to do so again soon. Hector Coleman is just your average teenager, living a normal rubbish life. But then all the teens in his home town develop weird mutations, and not in a superhero way. What's going on? Hector and his friends need to find out, before it's too late. A warm, funny novel about friends, family and being different - oh, plus aliens, mutants and some serious scares. It's like Stranger Things, only stranger. 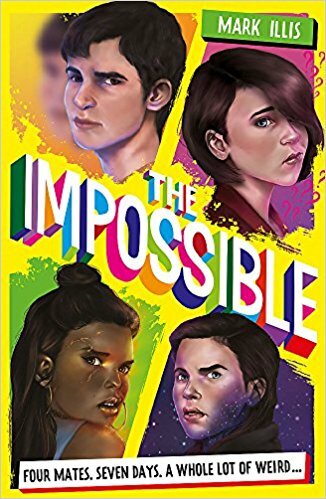 'This book is quite something, a great and unique addition to teen sci-fi.' The Book Trust. Last year, Hector Coleman survived the craziest week of his boring teenage life. This year, it gets crazier. The Impossible is visiting his home town again, and this time, our unlikely heroes are on the run. (Which isn't very heroic.) Can Hector and his friends escape soldiers, zombies, and a super-strong, super-angry, 13 year old girl? 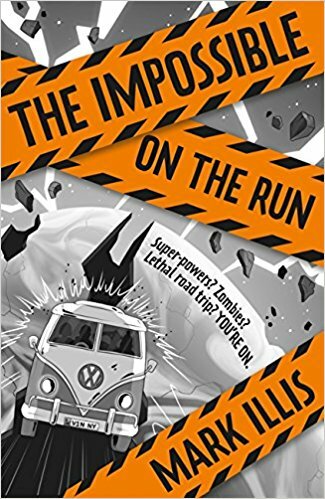 A road-trip adventure with a graphic-novel twist, this is the breath-taking sequel to THE IMPOSSIBLE. Over thirty years we watch the lives of the Dax family unfold in ordinary and extraordinary ways. They are a family with a history that develops in front of your eyes. A family with stories to tell. Who is sending anonymous, vicious letters to Stephen? Is it something to do with the sudden death of his friend Max? Gloria thinks so, and she intends to find out what is going on.